May 1980. U.S. 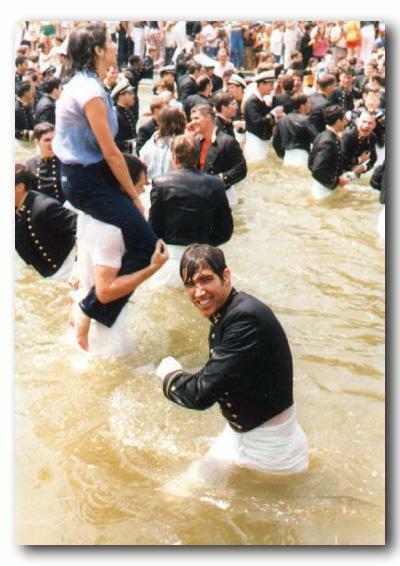 Naval Academy. After the final parade as firsties we marched into the reflection pool still wearing our full dress blues. It was only at this moment I realized it was really coming true. I was actually going to graduate. To celebrate I threw my girlfriend in the water. I gave the uniform jacket to a kid who wanted it and never marched in a parade again.